What to do if ??? CHECK OUT OUR GO FUND ME HELP THE OWLS. Many of our wild animals after the trauma of being injured, abandoned, or sick, have to go through further stress, by being transported out of the county or travelling many miles to find the right rescue unit. There is no main wildlife hospital in Cornwall, to provide help and support for Wildlife and their carers. That is why a networking list is vital at this time. Please refer to our "about us page". Add your details to the contact page. There are many stalwart individuals all over the county. Working hard without much support. Helping the animals that come to them for help. Creating a pool of expert knowledge. Are you a wildlife rescue in Cornwall? Do you look after a specific species? The aim at present is to have a network of contacts across the county. If you look up the BWRC (British Wildlife Rescue Council.) There is only one contact number The Gweek seal sanctuary. So how do the Cornish people find help and advice quickly? ​ Importantly to share expert knowledge with each other. We are working on a funding bursary, to help rehabilitation units in Cornwall. There are many of you out there who work tirelessly with very little funding. Helping our wild creatures. Ravenswell hopes to facilitate workshops in specialist care with professional people, lectures, and Public information days. Research. Is onoing to ensure Cornish wildlife gets the correct care and up to date release programes. Workshops for wildlife workers are usually held outside Cornwall, making it very expensive to attend. Having a centre in Cornwall will help us all. The majority of animals have to be sent out of the county, to a specialist wildlife veterinary hospital. ​Because we do not have one in Cornwall. Therefore the main objective for Ravenswell is to, eventually set up a hospital and rehabilitation unit, or possibly several specialist species hospitals in the county, with designated expert veterinary care, for the animals and their carers. We will arrange, when we have enough animal rescues on the register, an evening or day of ideas, proposals and discussions ect, to help everyone and ultimately Cornish wildlife. Meanwhile we will be fundraising, if you can help just contact us. 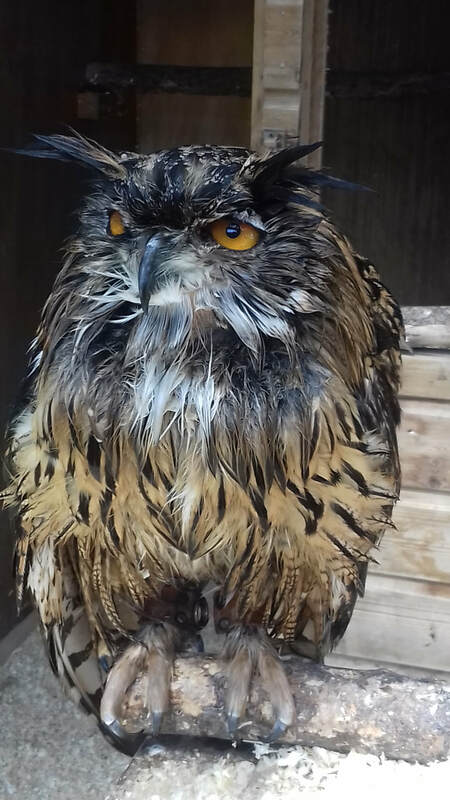 The Ravenswell’s 6 fund raising Owls desperately need their aviaries moved and upgraded – This is where we need YOU! 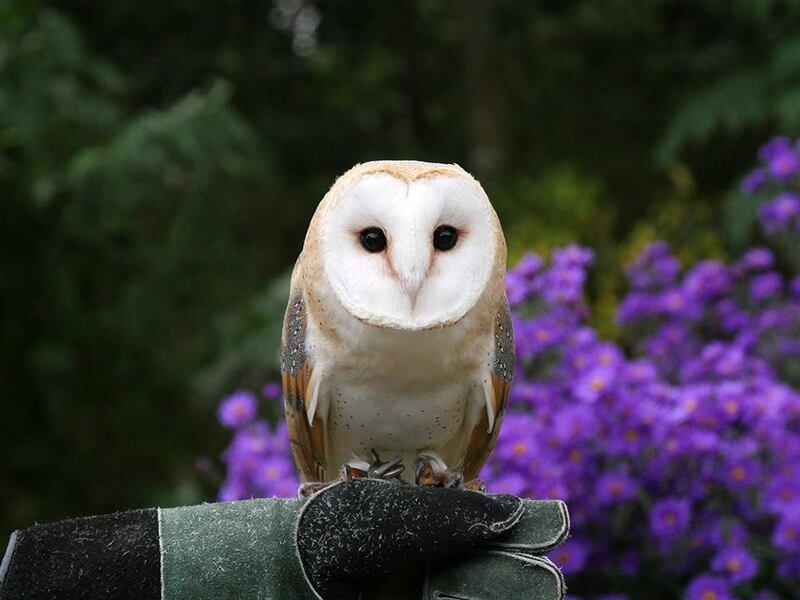 We need to re-build the aviaries to a high standard and add a small care unit for the owls and their equipment. We also need to re-site them to a larger space; which will enable them to have more room and will also mean we can receive visitors on special occasions too! Not only are these gorgeous birds are extremely important to us but they play a huge part in helping Ravenswell, a fundraising project which supports Cornish wildlife, to raise funds. 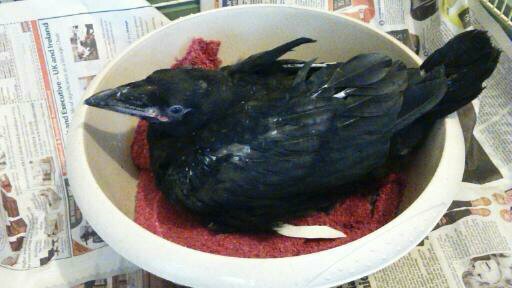 Ravens well helps injured animals, the amazing people who care for them and to provide professional advice. Everyone who donates will have their name or the name of a loved one on a roll of honour placed on the aviary. We will have a special open day and you will all be invited as VIP’s where you will get up close and personal with the owls, helping us to celebrate their new facility. Enough reading! It’s time for you to meet our beautiful birds. Keziah was hand reared by Wendy from a breeders second and unwanted clutch. Wendy is helping to raise Keziah and she is definitely still learning the ropes! Luckily she has Moonshine to aspire to! Ash came to Wendy in 2013 after the breeder was going to euthanize her because she could not breed. She had gone wild in the aviary however Wendy managed to train her to be steady on the fist, needing a lot of patience! Ash is a very content little owl however is very strong willed and will let Wendy know if she’s not getting her way! Jasmine was rescued by Wendy when she became unwanted by her owner. Owls take a lot of looking after – 24/7 – especially if you want to keep them tame (And no one wants to look after them when owners are on holiday!) They can become forgotton in the Aviary and very difficult to retrained, this was exactly what happened to poor Jazmine. Jazmine took a lot of hard work to gain Wendy’s trust, now, they make a great team and she is Wendy’s best flying bird! Bryher is a big character and a big softie! He loves being cuddled! Bryher was rescued from a breeder who had unfortunately been breeding mother to son, father to daughter, over and over, consequently, amongst other things, Bryher is very inbred and very small for a male – But we love him! WAIT! That’s not an owl! How could we forget the very special Branwen a vital part of the team (and is a gorgeous 3 year old Raven in case you haven’t guessed)! Branwen was bought to Wendy after the Parents wrecked her nest, so the breeders asked Wendy to take her on. Due trauma when she hatched, she lost a toe and her left eyelid is week. However this doesn’t hold her back and she is not a bird to be messed with! Wendy is great at handling her, but she does have an amazingly powerful beak (and bite!) She has a big character though, and can even talk! Finally we thought you'd better be introduced to Wendy. Wendy has worked tirelessly to help these lovely birds (and many other animals!) throughout her life. You can see what a fantastic job she has done! So come on sign this important register. Go to the contact page on this website and add your details please. Our in house trained captive bred rescued birds, are available to hire to enhance your event, weddings, fairs, festivals and celebrations. Our rates are very reasonable. This is another way to help us raise funds. How about collecting used stamps for us. 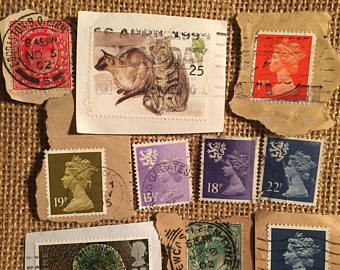 leave plenty of paper around the stamp, franked or un-franked. GB and the world. Stamp collections loose and in albums. Also Victorian Edwardian photographs, scraps, and documents. Old post cards, especially Cornish ones, all types useful. Contact Ravenswell or via this website to arrange a collection point.